"Great storage - could use a faster interface"
Documentum is great for easily uploading files into a single storage file. There are so many tags you can put on each file so that they are easy to find later. You can search and store by date, time, file name, student information, etc. The best part is being able to sort through information based on different tags. It is also great that we are able to work from so many different computers and administrators using this. It makes it highly collaborative. The interface could be faster and more modern. Like I said, you can store and search a lot, but it takes quite awhile. It also isn't the fastest in uploading files so something faster might make it more efficient. Thus, if I were able to offer any advice on how Documentum could get better it would be by making a faster and more modern looking interface which would also help it in competing with other products. Another thing is that it would be nice to be able to edit documents within the system and keep the previous documents, similar to how Dropbox works. Lastly, I'm not sure if my organization just does not have the best scanners at the moment, but having an interface that is able to pull a lot of the information for tagging right off of the scanned paper would save a lot of administrative time. I use Documentum as a part of a student advising office. We are able to store thousands of files by student name so they are all in one place. We are able to keep the files confidential which is another plus. When an advisor needs something found in a student file, they have all of the information in one place which makes problem solving and understanding a student's situation very easily. "Documentum - stable and advanced ECM system"
Documentum is stable and advanced ECM system if advanced functionality is what is required for a company. 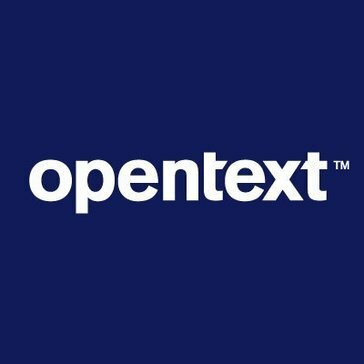 It has lots of entry point for customization and configurations, integrates nicely with many other OpenText and business solutions. Has best in class search engine - xPlore. Search engine and its performance if sometimes noted by companies why it has won over Documentum vs its fierce competitors. Repository is very stable and not support intensive. Expences. Documentum costs a lot of money, support and administration adds up nicely and hence many companies are constantly looking for replacements - something that has maybe less functionality but costs substantially less. Some are tied to Documentum because of regulated industries etc. but expence and UI are the main factors that makes this solution little less appealing. Resources who will support it and enhance, if needed. Documentum is niche skill and not many quality talent available at all locations, and if there are they, administration and support gets expensive fast. Usually Documentum performs best in regulated industries, where companies have to keep records/trade secrets/financials as regulated by their industry governing agencies, authoring sensitive content and require multiple users to work on it until documents get approved. Documentum also solves transactional case management issues with one of the best solutions in its class. "Once a great, prescient product for Content Management..."
Back in the day, from the early 2000s-2013 Documentum was the cat's meow and grew and grew, with tentacles crossing over into many other related areas such as Records Management, Lifecycle Management, Compliance, and on and on. Unfortunately, the product was expensive and support was mostly provided by the community itself, with little books or education material available except threw official channels. Coupled with expensive licensing and products that were released with many defects and bugs left a bad taste in the mouths of businesses and developers alike. Cheaper in-house enterprise competitors like SharePoint started encroaching, as did FileNet, OpenText, and Open Source product (alfresco, joomla). Workflow engine was very powerful. Licensing costs and bad support, software that had quality issues. Content management and records management, workflow. I like how it allows long, lasting storage and safety for important documents. I dislike how difficult it is to categorize your documents, as you cannot input a field without first adding the field as a "descriptor" option. I also dislike how you cannot easily search for a key word for accurate results and an easy find of the document when you don't know what it is filed under. Ensure that you learn the process of adding new categories and "descriptors" so you can accurately sort documents and information. The ability to store all documents in one place. This is beneficial to the business by allowing multiple users and employees access to the same documents and information in real time. 1. Allows different versions of the document to co-exist. Each version has a Comment field where you can explain the delta between the old version and new version. 2. Provides various security access so administrator can define what a user can access and not access. 4. Provides workflow for document approvals. The Documentum version I used did not have needed features for robust document lifecycle management. There was no mechanism for defining different lifecycle phases based on our requirements. I consider a PLM tool like Agile and Arena to be better than Documentum when it comes to managing documents. However, if a PLM tool is out of the question, I do not know of any better out-of-the-box tool than Documentum when it comes to managing documents. There are other tools with more functionalities than Documentum but these can be more expensive and may require extensive customization. We needed to ensure our employees will always retrieve the latest version for a spec or procedure. We also wanted to have a good history of version changes where it was easy to retrieve any old document version. We were able to eliminate any confusion or mistake regarding what document version to use in the company and in our contract manufacturers. We were able to easily show what version of spec or procedure was used in past product productions as well as provide the old version. I like that Documentum is password protected and the fact that it has built-in functions that allow the user to store commonly-used folders for easy access (via the 'My Favorites' button) as well as the internal Documentum search function. I The Documentum version I used did not have needed features for robust document lifecycle management. There was no mechanism for defining different lifecycle phases based on our requirements. "A good idea that needs a lot of work"
The fact that you can create contracts and upload documents to a central location and provide access to specific users or user groups. How long it takes to create or upload anything in this system. It is super slow and it requires too many steps to do any of this. Make sure you look at other options before going with Documentum. This application has been the a leader in the document management system circle, but I believe there are others out there that could offer the same functionality with a more efficient interface. It is serving as a secure storage for contracts and contract documentation for the agency I work for. A highly configurable system ; it integrates really well with many interfaces across the enterprise. It has wide support for a vast array of information asset types, It provides a fairly dull but simple user interface for asset access and archival. Its fairly easy to learn and use ,once you get the hang of it. Maintenance and upgrade costs will be likely high and upgrades will take time. You will find very few people who are knowledgeable on this Tool and not many want to learn same. I would say this tool has very Poor Customer Support since may of the organizations still continue with older versions as licensing is costly and the older versions lose support quite quickly. "Overall easy to use, across the office"
The architecture means easy implementation of new packages for users who don’t directly deal with technical and financial aspects of licensing too. Makes it easy to use in particularly large offices, and at minimal cost. The actual process of dealing with licenses requires a big deal of technical knowledge. Also little comparisons between different produces. Cloud licensing. Cross-office simultaneous upgrading took very little time. EMC Documentum appeals to small and medium size companies on-premise, online, and also mobile solutions in many industries. Many times training is short and confusing, many problems with utilizing certain systems. Not always user friendly. In my industry I would recommend this as a superior document storage and transfer of document system. My position is to manage and input content into the (ECM) platform. Manage the entire information lifecycle with security and control for duties I am responsible for. "Full-Featured Capabilities for large enterprise"
1. Documentum really does offer every feature you could possibly want in a document management system and a very high level of configurability. 2. EMC also offers digitization solutions (Captiva) that are pretty well integrated with Documentum along with workflow and case management solutions (xCP) for end-to-end solutions. 3. The basic Windows-like interface of Webtop and D2 was fairly easy for users to learn. 1. Licensing: EMC licensing for Documentum and associated products is confusing and difficult to manage. Everything is licensed separately and maintenance for new licenses begins on date of purchase unless you pay extra to have it "co-termed" with your other licenses. Licensing models and product numbers change with some regularity. Even EMC couldn't always figure out what licenses we had. 2. Staffing: We had a difficult time finding people with Documentum experience, and they were very expensive. I don't know whether it's because of the developers we ended up with or the constraints of the software, but the products we presented to users were not well-accepted. Employees overwhelmingly declared them clunky and difficult to use. 3. Java support and plug-ins: Some Documentum functionality is dependent on Java. The number of Java updates released now is probably an issue for any software dependent on Java, and it is certainly true of Documentum. It has been such a big problem for us that we are giving up the Java-dependent functionality so we can avoid the associated Java version problems. There are also some required plug-ins that have been a problem because we lock down administrator privilege on employee PCs so helpdesk support is required if there is a problem with the plug-in and we have found that to be problematic to troubleshoot. Make sure your implementors and administrators have Documentum experience. Ask them to show you an example of a successful Documentum project they completed. Would a similar interface work for your users? How flexible is it in accommodating changes or deviations? Ask them to show you a search of a repository similar in size to yours. Look for flexibility there too if you will need it. We were trying to reduce paper, better manage documents (especially versions), support collaboration, and improve access to documents. Our project started in 2008. Since then, we have added Google Docs to our enterprise software and most collaboration activity has moved there. We still have a need for full-featured document management beyond that, integrated with other business activities, but have decided to do so using a different platform. One of the biggest benefits for us has simply been the lessons learned - we did a lot of things wrong. One of the areas where I think EMC could improve and provide better benefit to customers is to provide more information and guidance on the "soft" side of Documentum implementation. "One of the best Enterprise Content Management System"
The EMC Documentum Records Management solutions help you comply with the record keeping requirements of regulations and leverage uniform policies across all formats, including both physical and electronic records.Allowing collaboration between Documentum and other platforms, enabling users to work within their own system environment, thus ensuring a seamless review process. Not easy for use for new end user like other CMS such as Sharepoint etc. Also, bit dull in look and feel which may be just my opinion.While Documentum offers a wide variety of features and modules, not all of them are operable out of the box and require support from Sis to implement them. Compare that to the Oracle WebCenter suite of products, which work in concert with each other right after a standard install, and it is easy to see potential cost savings for customers that have been struggling with their Documentum implementations. Lack of a published roadmap for the Documentum product line so long term vision need to carefully planned. EMC Documentum Records Management solutions can be used in multiple situations from transparently managing the lifecycle of large volumes of corporate information, to managing specific sets of formal records, to managing physical records with the same policies as electronic records to managing multiple repositories with a single set of policies. We use Documentum across the company as it maintains document confidentiality and it makes it far quicker for authors to collate and reconcile comments, saving us all so much time. Some document and records management projects are large and complex enough to merit a complicated platform like Documentum. But for some time now, this has constituted just one use-case among the seven major document management scenarios that serve as evaluation criteria in our research. To be sure, Documentum isn't dying. EMC has slowly but regularly upgraded the core Documentum platform, most recently at the end of 2012. Whatever the platform has lacked in innovation, EMC can at least point to long-term continuity. EMC has also made some small but nifty acquisitions on the side. But how much is Documentum really living? In recent years some EMC integration partners have jumped ship. You can understand why. Knowing Documentum Query Language (DQL) is kind of like knowing COBOL: you can make a good living....keeping legacy implementations alive. As a customer, you should consider EMC-Documentum if your document and records management needs will require a highly customized solution. For example, if your document store numbers into the millions of files, or you need to develop highly specific, bespoke user interfaces. Even then, a savvy buyer will perform extra diligence to ensure that a simpler and more open platform won't suffice. "Strong product at its core"
Content Server - The core engine of Documentum which is very comprehensive, robust and scalable with its object model and API framework. Very stable and can be easily integrated with other products and applications available in the market. The product has one of the best support in its class. Pricing - I feel EMC should get innovative with pricing proactively rather then reactively. Engineering - The products need to be tested better in their labs. Bugs are quite prevalent especially with products that are acquired and integrated. Hosting a ECM platform for Logistics related documentation that needs sharing across various branches in the world. "Use documentum to store all the versions of documents "
We can view of the versions of documents saved on documentum. We can retrieve all the attributes and their values. "Enterprise Content Management System: Large Scale System"
Documentum is an enterprise grade system and can cater a company needs to manage vast set of information starting from Documents, records, image, to multimedia. It has very strong integration interfaces with other enterprise systems. It do have one of industry best workflow system. Documentum went too far ahead to provide branch office and distributed services. It allows so much of customization and extensions by customers that upgrade becomes a expensive affair. Documentum is not best for the Web Content management. But its one of top two products for record and content management. For small scale implementation don't use that it just too huge for small use case. For larger implementation this is a perfect choice. I have been working for services company and worked at various clients in different industry sectors implementing Documentum, it very vast, reliable and easy customization for every special need. "Find an alternative, if you can." I am not really certain if there is anything at all about this application that I liked. It is compliance-approved by the government agencies, which frequently makes it a software of choice for compliance purposes. Hands down, this has to be the worst software I've worked with in my 17 years in IT. If you are looking for "configure and forget" package, this is not the one for you. Frequent breaks, cludgy and graphically outdated interface, constant need to hand-tune. This software was an incredible struggle to set up, build, configure, and maintain. If there is any alternative out there, I would use that, instead of Documentum. If you plan to implement Documentum in your environment, make sure you have a budget for an experienced full-time administrator, and a senior full-time Documentum programmer. The upgrades are non-trivial, and testing an upgrade will be a major project. All your Documentum applications will need to be recompiled, and likely, re-coded and regression-tested when you upgrade. It is not uncommon to see organizations with 5-7 year-old version in production because of extremely difficult upgrade path. Replace it with a more robust and usable platform. This app was implemented for document retention, and PO approvals workflow. In retrospect, for the effort, license cost, administration and programming consultancy and in-house costs, I am absolutely certain we could and should have written our own in-house apps, or bought alternatives at half the price and effort. "Robust solution comes for a price"
Documentum's Object Hierarchy and Business objects framework is ROCK solid. This architecture is so robust that they did not have to change it for over one and half decade. Even the web services framework DFS, Restful, D2FS D2 everything is built on top of that. Once You have mastered BOF and Object model technically you are the king. Using the restful services, it is easy to build a custom UI. Records management, Compliance manager are robust solution. Since Documentum was acquired by EMC, it was a downhill ride from the peak. WDK was not updated in D6X. Centerstage was not successful, DFS was not complete. Licensing was cumbersome and continues to be still. D2 and xCP 2 injected some fresh blood but still licensing is playing spoilsport. We are proving womb to tomb Content Management solutions for Government Agencies. "Difficult to get used to operating, seems to be outdated "
"I have been working with Documentum since past 9 Years and I had wonderful experiences"
Documentum is very strong Enterprise Content Management System in the market. It has very good customers in multiple domains. Since past few release EMC Documentum/xCP had lots of bugs and issues. Documentation is lacking. We have selected EMC Documentum xCP 2.0 as the platform to preplace iBPM/Stellent for the future state operation of document management and business process workflow management. The initial Documentum implementation is to include Documentum workflows for the three key operational areas. Broker/Dealer Support Services (BDSS) and portions of Governance, Risk, & Compliance (GRC) are currently using Documentum/xCP. Wonderful way to access many documents! I use this system every day in my work process. "Strong capabilities with high scalability"
How it interfaces well with other software and it's ease of use. The security was easy to maintain which is important in my industry. Lack of reporting I needed so we added a program that ran our reports. Over the years I have used a lot of different document management software and feel that Documentum still has the most capabilities and features. Documentum seems more rounded and versatile too. We do project management for the oil and gas industry so we needed to keep records of everything for our projects including revision history and milestones. The plug in gives users a hard time depending on the servers that they're associated with. Yes - Especially if it is a small project. It's very user friendly and easy to deploy. Permission set templates ease the pain of setting permissions on the documents. Easiy configuration to store the documents based on the lifecycle state or any folder hierarcy. I like the versioning features and the Branch Office Caching service has helped improve performance when accessing documents from our many offices located in Africa and other countries. I'm not a fan of the profiling page from webtop - it runs slow. Search can be improved also. Would love to see a better cloud solution. We use Documentum as a records repository and apply retention and disposition. "Information Security is the Key"
Security – Security can be managed on a document level but, out of the box, the security is not tied to document status as is typically setup with a Documentum lifecycle and ACL. For example, with a Documentum lifecycle, you can set up that users cannot update when pending approval, can not edit when approved/effective, but can edit in Draft. In SharePoint, out of the box users can edit no matter what the document status value. Office Integration – SharePoint has superior Microsoft Office integration to Documentum alternatives. We are using documentum for content review and approval process and its really fast configure and ease of use. The interface is not intuitive or user-friendly. For example, simple things like the "OK" button is placed on the top right-hand corner instead of the bottom left, where it generally should be. Navigating thru folders is also not very intuitive. Document versioning, collaboration, automated workflows, etc. It is powerful when it comes to customizing workflows. "User Friendly and Versatile !!!" I worked closely with the Implementation of Documentum Enterprise Content Management System for insurance brokerage lifecycle. - Maintain proper workflow processes. - Version control (History Management). - Easily scalable to large number of users. - Maintain document meta data attributes. Above all its user friendly and versatile. I didnt have any issues with WebTop implementation. Central repository to house business critical documents. "Experience as an ECM user, administrator and business analyst"
Performance constantly an issue, poor support, capabilities described by EMC as configurations often require development. If only core ECM capabilities are required (version control, workflow, archive, full text search) other products will satisfy your needs at a lower cost and with improved support. Most recently the business process was the submission (from multiple sources), review\approval, and portal access of forms received a major brokerage firm. The benefits have been improved governance, stability and, like with any new implementation, the opportunity to make improvements relative to the replaced product. "EMC Documentum, Old Styled and lagging behind"
Document Management, Web Content management, Records Management, Digital Asset Management. We did well in the DM space but EMC document was poor in other area which kept us from being successful. We had to look at alternate products for other areas. Enterprise document management, solving for retention and regulatory purposes. The ease to full text search metadata we are looking for, and the ability to export data. The length of time that it takes to pull large searches up. We are eliminating some long term storage expense because of documentum. Folder structure is solid. There are other features which are convenient. The need of java plugin. It constantly freezes and also does not function correctly on given days. "Useful software that's not as straight-forward"
Not as intuitive at first, but then again with experience everything's easier. Engineering. Create/Retrieve documents, collaboration with collegues. Ease of use of user interface and the extensive ability to customize layout of templates and replication schemes. The process of converting content in previous solution into Documentum was daunting. The ability to version and track content edits to satisfy legal and compliance requirements. Documentum successfully satisfied this need. * We monitor all Documentum reviews to prevent fraudulent reviews and keep review quality high. We do not post reviews by company employees or direct competitors. Validated reviews require the user to submit a screenshot of the product containing their user ID, in order to verify a user is an actual user of the product. Hi there! Are you looking to implement a solution like Documentum?